It´s the will, not the skill! 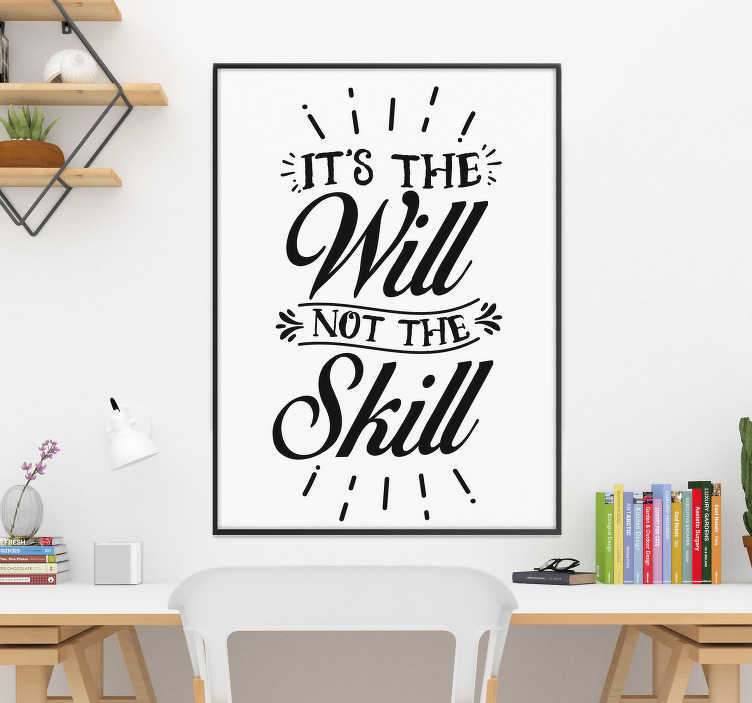 Oh how true this wall text sticker is - Perfect for those who need that extra bit of motivation in times where they may feel as though they do not have the skill that they need: Just remember, it is not the will that matters, it is the skill! Furnish your wall with this vinyl decal, or maybe even add it to the wall of your business!